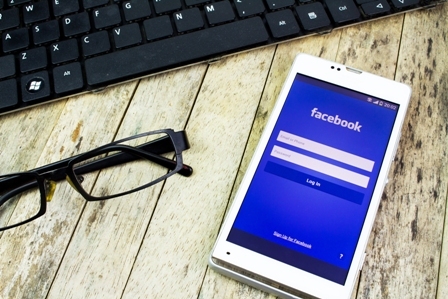 Here are 10 smart moves to get your business growing with Facebook. The number one rule of the game is to understand what your customer wants; what does your target audience care about? What makes them “engage” with you on Facebook? Create meaningful conversations with them and soon you will you find out. Engagement has a wonderful effect on your customers. They develop an affinity and a loyalty to your brand. Offers and competitions are great incentives that draw people to your page and will in turn help you reach out to a wider audience. You will see an immediate perk-up in likes and shares, and often within a short period of time. Inspire your audience with great content that strikes a chord with them. There’s no better way to connect with your audience than talking to them about topics that are relevant to them. This http://www.globalmediainsight.com/blog/wp-admin/users.phpway, you can be rest assured that they will keep coming back for more. Superlative customer care will set you apart from your competition. Messaging on FB is very easy and can be done within minutes. It’s a great way to stay in touch with your customers. Go to your Page Admin section to set your query response time. Now visitors to your page will know how quickly you respond. With more than 8 billion views, videos are gaining ground as the winning medium on Facebook. Even your simple, home-made, how-to video can work wonders for your page and drive up engagement. Visit the Insights section of your page and it will reveal a great deal of information. You can find out who’s looking at your page, when, where and how. Armed with this info, you will be able to understand what type of content works best. Insights are particularly helpful if you want to go in for Facebook Ads. They will help you narrow in on your target group. You will be able to come up with a winning strategy for the ad copy and creative. When your customers are happy, it tells. Get your happy customers to share their stories or pictures on your page. This will build trust and works as an opportunity to reach a larger number of people. Engage with your target audience with the content they are hungry for. You will be rewarded with engagement and loyalty towards your brand. Facebook makes it easy to acquire new fans. Custom and Look alike audience can be created with the existing fan data and you will be able to reach people with a leaning for your product or services. The new Carousel ads on Facebook allow a selection of your products to be shown at once. Holiday homes and tour operators have achieved a high number of conversions at a marginal costs by re-targeting website visitors with FB ads showing the properties they recently viewed.